Hello and welcome to another Wizards with Words interview. Today, I’m welcoming Renita Pizzitola to my blog. Renita is a sister author at Lyrical Press and, like me, has a debut novel releasing on October 8th. Everything about her young adult novel, GOSSAMER (book one of the GOSSAMER series) hooked me the moment I heard about it. From the title, to the beautiful cover and compelling plot, I knew this was going on my TBR list. I love Celtic folklore any anything related to the Fae. But I’m getting ahead of myself. (Can you tell I’m excited?) Renita is a prolific writer with two other novels already under contract with Lyrical Press. Renita, can you tell us a bit about yourself and what prompted you to begin writing? Renita: I’ve always loved to write. Teachers encouraged it, my family encouraged it, but I never really went for it. I’ve always been a reader and dreamt of being an author. But that’s all it was—a dream. It seemed like such an impossibility. A normal person like me couldn’t get published, right? It took a life changing event for me to finally sit down and, not just write, but submit. I started the submission process for Gossamer in September 2011 and my life has been a whirlwind since. It’s hard to believe all the wonderful things that have happened in the last year. I’m so happy I finally took a chance and know I’ll never live with wonder or regret. From what I’ve seen, you’re one busy lady. GOSSAMER releases on October 8th, book two of the series, GILDED is tentatively scheduled for next summer, and you also have an adult paranormal called DREAM ON, releasing from Lyrical in the spring. You’re obviously a productive writer. Any tricks you’d like to share? Renita: Honestly, for me, when an idea pops into my head it consumes me. When this happens, I write like a crazy person. Not even kidding. But I know not everyone can do this. My suggestion—make time to write, but don’t force something. If you aren’t feeling it, maybe that’s not the right direction for your story. Step back from it for a few days and let the story develop in your mind. When you come back to it, hopefully with fresh ideas, you’ll be more productive and eager to accomplish more. Also rough drafts are just that—rough. Don’t try to get the first draft perfect. Instead take this time to get the story on paper from start to finish, then worry about all the other details. Renita: Gossamer is based on Irish legends in a modern day setting and ends with a classic fairy tale twist. Half of the story takes place in our ‘human world’ and the other half takes place in the magical faery realm known as Tír na nÓg. It was fun researching for this series and has appearances from various legendary beings, each providing their own unique spin on the story. The story focuses on Kyla, who goes by Kylie. She’s never really considered herself to be anything special—just a normal girl coasting somewhere between ‘popular’ and ‘nobody’. But when she meets Grant things begin to change. She soon discovers she’s part of an elaborate plot to save two children, and now she’s in danger. With her life in Grant’s hands, she flees to a world she never even knew existed, but as more secrets are revealed she discovers her new life comes with a price—her freedom. The YA genre is exploding all over the place, and I find myself reading it more often. What originally attracted you to this type of writing? J.K. Rowling blew the door wide open for YA and Stephanie Meyer and Suzanne Collins kept the momentum going. I’m a huge Cassandra Clare fan, and am eagerly looking forward to the final releases in her Infernal Devices and Mortal Instruments series. What about you? Any favorite authors and/or books in the genre? Renita: I’m a big fan of YA in general and have many authors I love to read, but if I were to pick only one it’s Richelle Mead. Her heroines are strong, independent, and funny. She has amazing worldbuilding and I love the way she incorporates myths and legends into her books. Slap her name on a book and I’ll read it, she never disappoints. When you begin a new manuscript, which do you develop first — characters or plot? Renita: Hmm, that’s a tough one. I’d say plot and main characters coincide, and secondary characters come later. First, I get an idea about some sort of big event happening to a specific type of person, then I start hammering out the details. The other characters tend to develop as I go. In Gossamer, Kylie’s best friend, Lexie, was originally going to be minor. Every girl needs a best friend and she was that person. But as the story developed, so did Lexie’s character. I find it funny when people read Gossamer and later tell me how much they loved Lexie considering originally she wasn’t going to have a big role, but her spin on life couldn’t be ignored, which is why I think people love her (I love her too by the way). I’ve even had a request to write ‘her’ story. But not to worry, she’s in book two with all her crazy Lexie antics….possibly even crazier. Any words of advice for a new writer looking to break into the YA field? Renita: It’s definitely a tough market. There’s a lot of great YA out there right now and it’s hard to get noticed, but that doesn’t mean you shouldn’t write YA if that’s what you love. 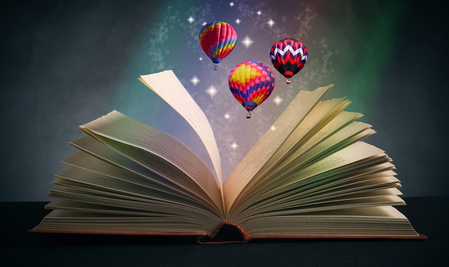 Just be sure you are writing your story and not what you think young adult readers want to see. What may be flying off the shelves today, probably won’t be the same by the time your manuscript is completed. I also think the growing New Adult market is a wonderful opportunity for many writers with characters stuck in the middle of teen and adult. I’m glad to see the publishing world is beginning to recognize it as an under-served market. All those YA authors who’ve heard the “your character’s too old for young adult” are beginning to find homes for their work. Would you like to take a moment to tell us about GILDED, book two of the GOSSAMER series and DREAM ON, your adult novel? GILDED is a continuation of Kylie’s story. 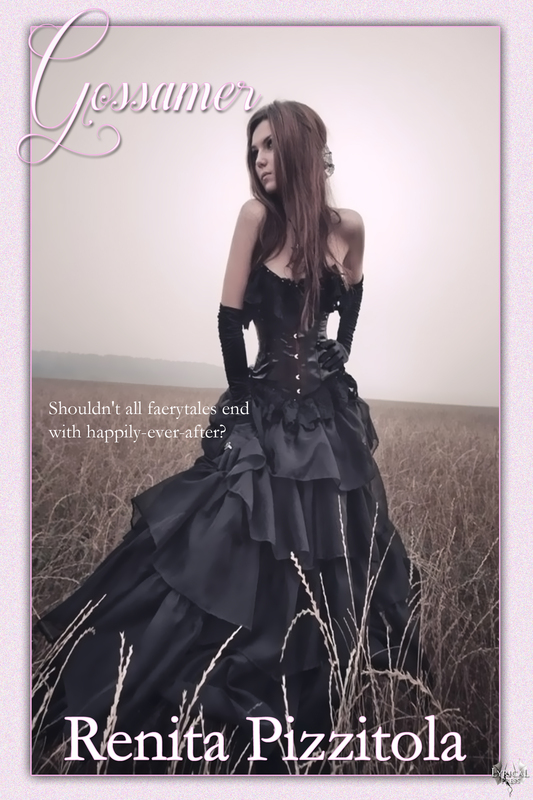 She still has a lot to learn about herself and a happily-ever-after to find. In this book, new elements of Irish Legend are introduced and Kylie undergoes some big changes! She also uncovers a prophecy and quickly realizes the girl she is destined to be, isn’t the girl she wants to be. The idea for DREAM ON came to me as I tried to keep my mind off of Gossamer’s adventure in submission land. In the end, I had so much fun writing it. It’s about Emory who is a dreamwalker which is basically someone with the ability to travel into the dream realm. She uses this ability to run a lucrative business ending nightmares, but not all nightmares are scary…some are mortifying which leads to very amusing jobs. Soon she meets Grayson, a fellow dreamwalker, and when he asks for her help in finding his body-snatcher things get crazy. Okay, final question, just because I’m curious . . . who or what is your favorite mythical character and/or creature and why? Renita, thank you again for visiting my blog and taking the time to do an interview with me. I wish you much success with your upcoming releases and will definitely be in line to buy GOSSAMER for my Kindle Fire. Renita: Thanks for having me, Mae. It was great visiting with you! “Hmm, what?” A smile still played at the corners of his mouth. We finally arrived at our destination and I could see Conor already waiting. Grant stopped and looked at me. “And I will,” he said and walked away. I was locked into place. My brain incapable of processing his comment and walking at the same time. Was that his way of saying he cared about me? Which really didn’t mean much. I cared about my friends, too. Oh, but I really wanted him to mean something more. Don’t read too much into it. I forced my mind to clear and approached the guys. Grant filled Conor in on Lexie’s plans to pick us up. He seemed to like the idea of not having to walk the entire way and I could have sworn he liked the idea of seeing Lexie one last time. The three of us stood silently waiting for her. The humid night air left my skin clammy. A few minutes later a black car pulled up alongside the curb. The tinted passenger window glided down and Lexie peered out at us. “Need a ride?” She asked with a wicked grin. I grinned back. I was going to miss her. I opened the door and decided to let the boys fight over who got the front seat. Grant stopped me and told me to sit in the front. Although I’m sure he was being a gentleman, I had a strong feeling they didn’t want to deal with the onslaught of questions she was sure to have. They squished into the back and I climbed in. I pulled my seat up as far as possible, feeling sorry for Grant as he tried to contort into such a small space. I felt bad for Conor too, of course. As soon as we were buckled, Lexie’s car coasted onto the quiet street. “Okay, first where to?” She looked at me expectantly. I glanced back at the boys. Grant spoke up giving her directions. She nodded, not even caring that we were asking her to drive us practically out of town. “Thank you!” I over exaggerated my words and rolled my eyes at Grant. “See. Joke. Funny.” He grinned and shook his head. I faced front again as my heart fluttered from the adorable way he looked at me. Renita Pizzitola writes Paranormal Romance and Urban Fantasy. An avid reader herself, she has always enjoyed stories with witty humor, romance, and fascinating characters. Renita lives in Texas with her husband and two children. When not writing, she enjoys reading everything she can get her hands on, drinking copious amounts of coffee, and playing referee to her two typically adorable children. This entry was posted in Author Spotlight, Authors, Books, Lyrical Press, Paranormal, Reading, Writing and tagged Authors, Book Release, Books, Folklore, Lyrical Press, Mae Clair, Paranormal, Reading, Renita Pizzitola, Writing by Mae Clair. Bookmark the permalink. Wonderful interview ladies. Congrats on both your upcoming releases! 😀 I would like to write a YA but my granddaughter wants me to write a children’s series of bedtime stories I tell her. Thanks Calisa. YA is fun to write but I think childrens bedtime stories would be an amazing gift to your grandaughter! Glad you enjoyed it, Calisa. And I agree with Renita . . .what a wonderful gift to your granddaughter a children’s series of bedtime stories would be. It’s lovely to know children still look forward to those. Thanks for dropping by, Karen. I’m eagerly looking forward to GOSSAMER too! Yay! Great interview! Congrats Renita on your success! Thanks for checking out the interview, Juliana. I’m glad you’re looking forward to Renita’s release! I am in LOVE/LUST with this cover! I must have shown it to my husband 10 times! Men just don’t get the importance of cover art. Nailed it! The cover is gorgeous, isn’t it? Lyrical did an amazing job with it! And I agree, men don’t get it at ALL. I showed my husband a fb post where people were commenting on it and he was like “oh, that’s good” He missed my entire point…sigh. Isn’t the cover AWESOME., Christina? The very first time I contacted Renita (way back when, LOL), was because I was GONE on the cover of the book. I completely agree–COVERS are the very impression readers have and SOOO important. GOSSAMER’s cover is utterly gorgeous! I’m with you, Lynn, on both counts. I love a blend of myth, folklore and modern day. And that cover is just so visually striking! Many thanks for dropping by and checking our Renita’s interview. Great interview! I’m definitely a huge fan of Irish-themed books and just started really getting into YA! Can’t wait to check this one out! Thanks L.J.. I love reading YA. There are so many great series out there! I love Irish-themed too, LJ, and, like you, I love exploring the YA genre. Nicely done – as always. You’re right, Mae is great at interviewing! Many thanks, Sheri. I’m glad you enjoyed my latest Wizard with Words. Renita was wonderful to interview! You know, as she talked about Lexie and how her character grew as she wrote it, I could almost make correllations between that young lady and Nevil Longbottom. Funny how his role started off so minor and yet he has a huge fan following, too. This sounds like a fun book! Just the kind of thing I was reading in my tween years. I think my BFF will probably love this…especially with all the Celtic tinges to it. (And I’ll read any good book, regardless of the genre…;-)) Another great interview, Mae…and congrats to Renita! Thanks Kitt! I loved reading your comment and the correllations you made between Lexie and Neville. Very cool. And, yes, Mae is a great interviewer. I had fun answering all these questions! OOh, yes wasn’t it amazing how Nevil Longbottom developed into such a major character? Who would have thought it way back in book 1 of HP? Thanks for the wonderful interview, Renita. Like you, I never tire of discussing those things dear to my heart. It was great to have you here, and I can’t wait to see GOSSAMER hit the e-book market! Loved the interview! I am anxiously awaiting the release of Gossamer! Can October 8th come any faster, please?!? Thanks Katie! Only a few weeks to go! !